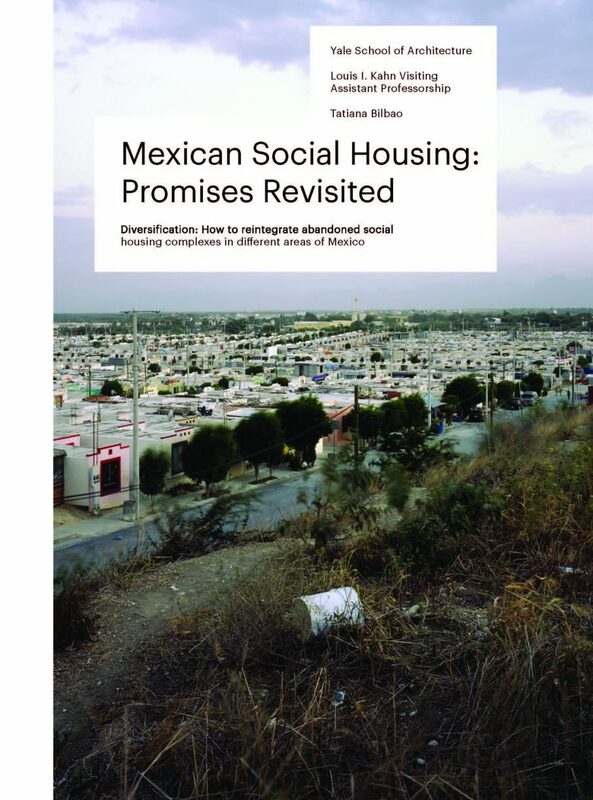 This book is a compilation of the projects developed at the Yale School of Architecture in an advance studio called, Diversification: How to reintegrate abandoned social housing complexes in different areas of Mexico, led by the architect Tatiana Bilbao who was the Louis I. Kahn Visiting Assistant Professor for a semester, and was developed in conjunction with the INFONAVIT (Institute of the National Fund for Worker’s Housing). In response to the aggravating abandonment rates in Mexican social housing complexes, the studio aimed to address this issue and simultaneously offer solutions to the actual housing deficit. The studio’s focal point was to understand the specific environmental conditions each of the chosen case study housing complexes, and to cast a proposal that could architecturally reintegrate these spaces and transform them into a positive detonator for its surroundings. 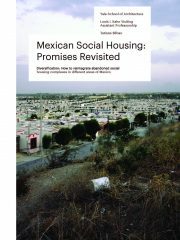 The book features a general introduction of the problem and thematic of the studio, and a chapter for each of the projects: Monterrey, Tijuana, Ciudad Juárez, Guadalajara, and Cancún.